Honey-sweetened lemonade, a fantastic drink and my biggest ally in the fight against cold and flu. It seems that I have become such an easy pray for cold and flu; from catching one once or twice a year only, I have somehow managed to be unwell almost every month lately. I do admit that I am guilty though,as sometimes I do not have regular meals and don’t drink enough water, so that means that my immune system is quite down and desperately needs a helping hand to get back on track. So, it is high time I put into action a plan to fight the evil cold that brings me down. And what’s better than a home-made honey-sweetened lemonade? I don’t really take medicines, but this drink is by far the best medicine ever. Lemons are a great source of vitamin C, which is known to boost the immune system, amongst many other health benefits. And honey has been known for centuries as having excellent medicinal value. 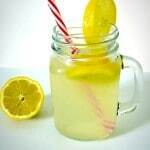 Do not spoil the magical power of the lemonade by adding refined sugar, honey is the best alternative possible. I like to drink this lemonade at room temperature, but, of course, it is also great ice-cold or hot. 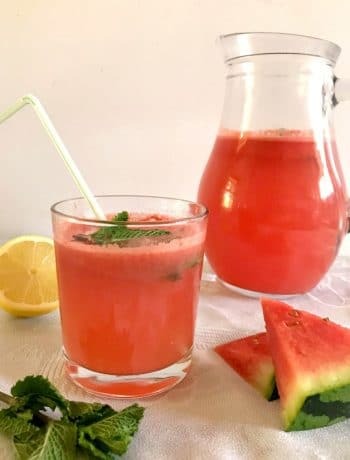 A healthy, hydrating, refreshing and delicious drink that can be enjoyed by the whole family. 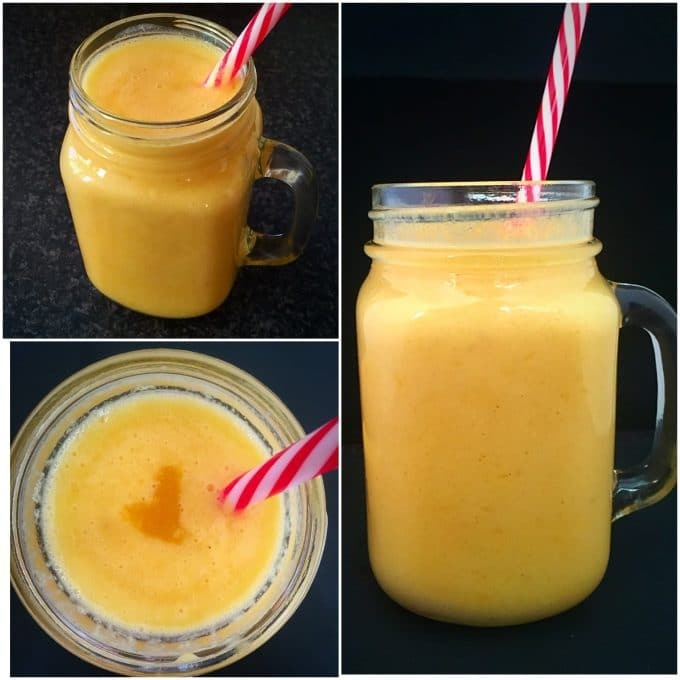 Summer or winter time, this drink is all you need. 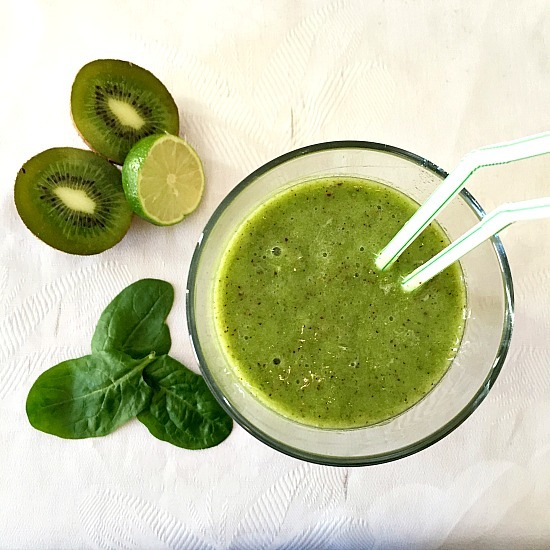 No nasty chemicals, no sugar-loaded store-bough juices, just the nature’s goodness in one glass. Enjoy, you are in for a treat! 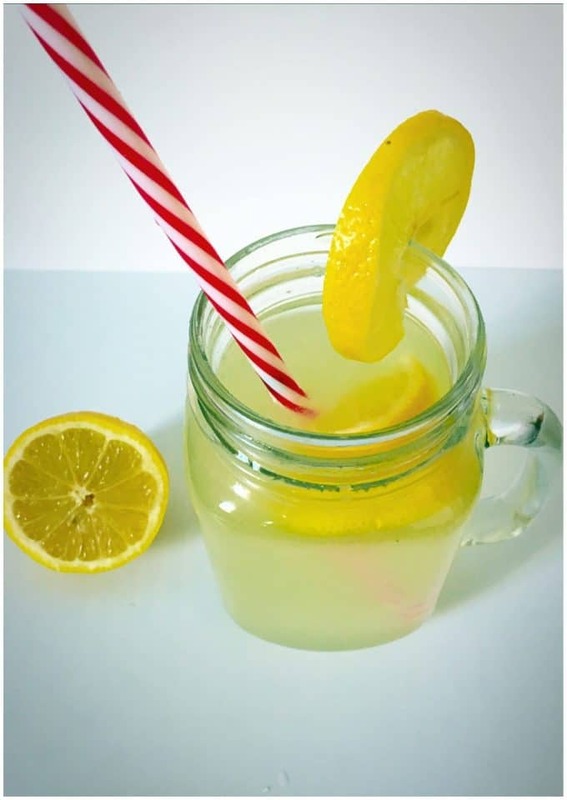 If you’ve liked my HONEY-SWEETENED LEMONADE or any other recipe on the blog then don’t forget to rate the recipe and let me know how you got on in the comments below, I love hearing from you! You can also FOLLOW ME on FACEBOOK, and PINTEREST to see more delicious food and what I’m getting up to. 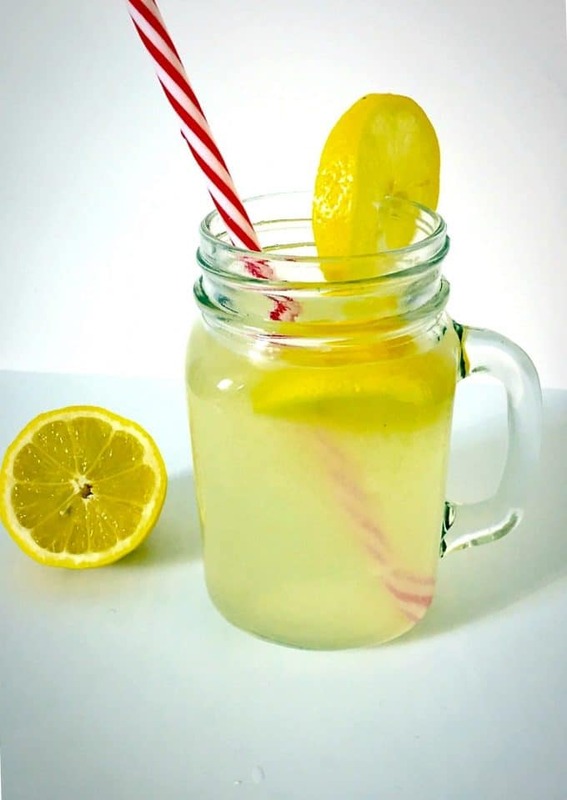 Honey-sweetened lemonade, a delicious drink that is our best ally in the fight against cold and flu. Pour the water into a mason jar or any jug. Squeeze 1 lemon and half of the other one, either by hand or using a citrus squeezer and add the juice to the jar. The other half can be sliced and added as well. In a cup, mix together the honey and hot water, then add the mixture to the jar. Use a spoon to mix everything together.